For this week's manis I've been creating designs with MoYou Nails Stamping plate #87, which is quite apt for Valentine's Day coming up. Another design is of smiley faced flowers and I can't wait for spring to arrive which is just around the corner. The plate has 4 large images including musical notes and swishy stroke lines - can anyone help me here with a better description for that one? 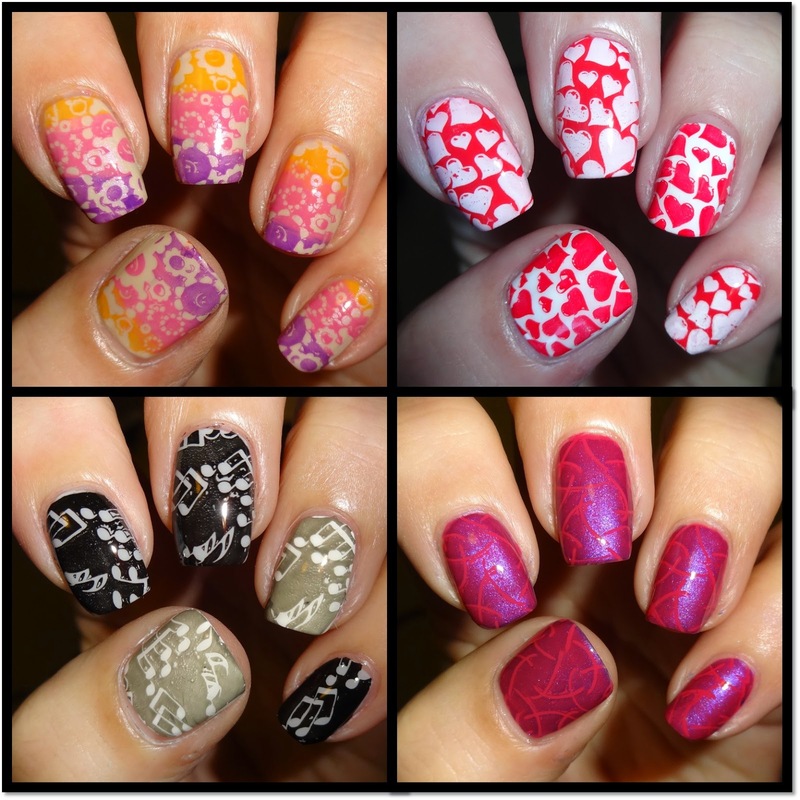 The stamping plate #87 is currently reduced at £2.99 and the MoYou Nails stamping polishes are £4.99 each with great offers on sets of 3, 5, 6 & 10 bottles. Check out my video below for a demo using the heart design. Lovely manis!!!! I super like the one with hearts. A great Valentines mani. Hi Bella, the code can be used at www.moyounails.com is this the website you are looking at? It's different to MoYou London. oh, ok. I was on the MoYou London site. Thank you!